The Sennheiser XSW 1-ME3 bundles great sound and ease of use into a sleek wireless headset system. 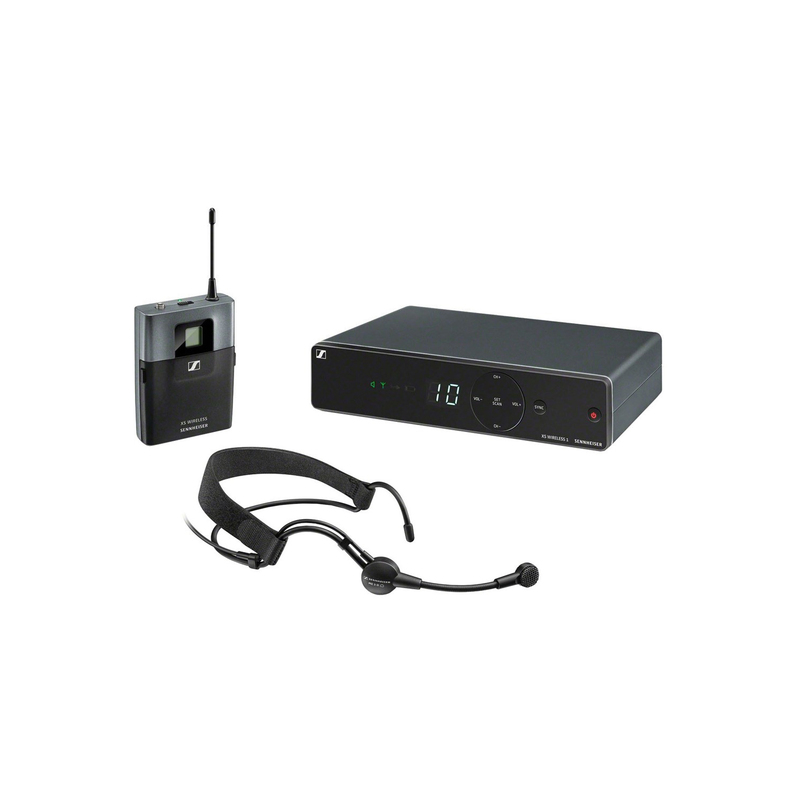 A bodypack transmitter pairs with an ME 3 headset microphone to produce a sharp, clean sound. Convenient features like one-button scanning and synchronization are housed in a streamlined receiver with built-in antennas. Intuitive icon-based indicators make operation a piece of cake. Use up to 10 systems simultaneously. The Sennheiser XSW 1-ME3 is a great wireless headset system for performers involved in vigorous activities such as sports or dance.